HCM CITY — A Malaysian woman was arrested at Tân Sơn Nhất Airport while attempting to smuggle more than 4kg of cocaine into Việt Nam on Wednesday, HCM City Customs reported. According to airport authorities, 28-year-old Sharina Binti Mohdzaini landed at the airport at about 9pm on Monday on a flight from Brazil transiting in Dubai. 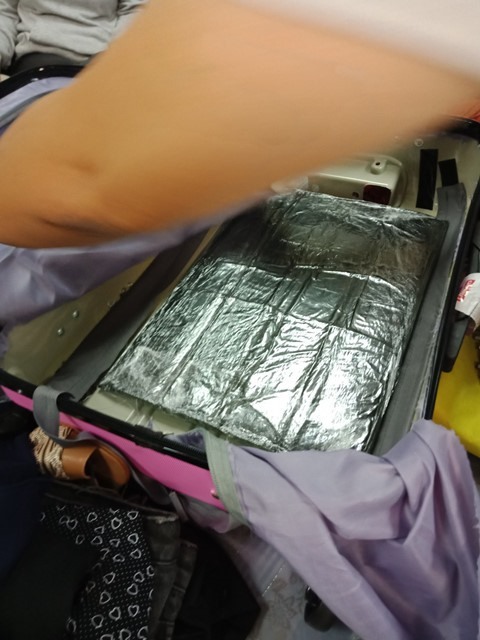 After checking her luggage, customs officers used an electric drill to take apart the cabin-size case and found two bags of white powder carefully wrapped in nylon and hidden in the lining of her bag. A quick test confirmed the powder was cocaine. Mohdzaini admitted that she was asked by her boyfriend to transport the drugs from Brazil to Việt Nam for US$1,200. Last month, police also arrested another Malaysian woman who tried to smuggle 4.1kg of cocaine hidden in food cans into Việt Nam.